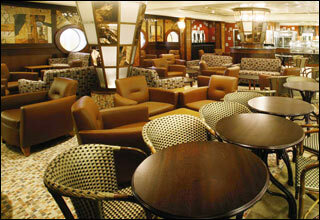 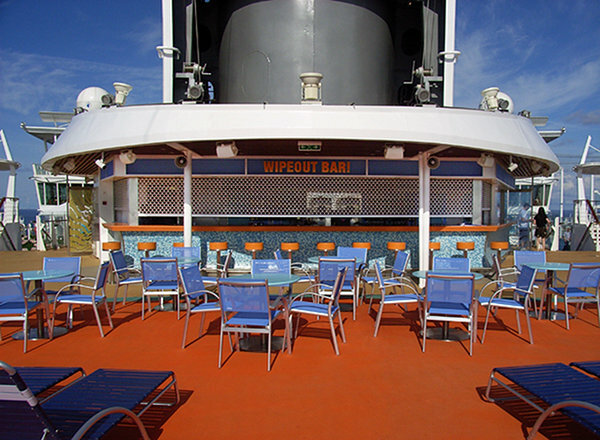 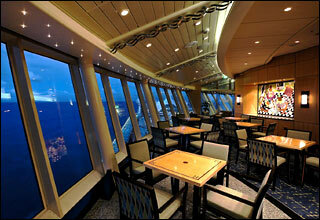 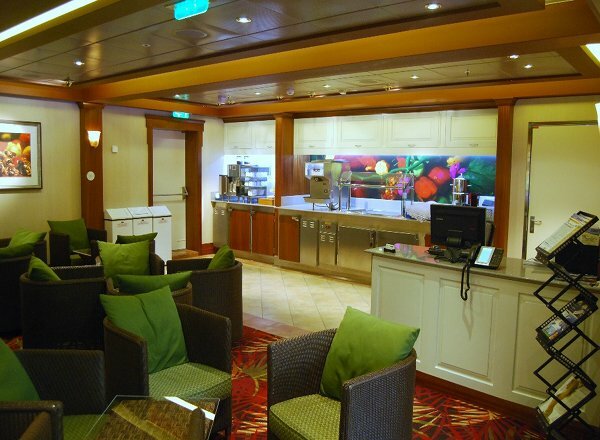 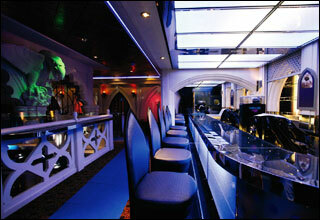 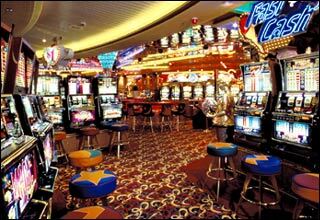 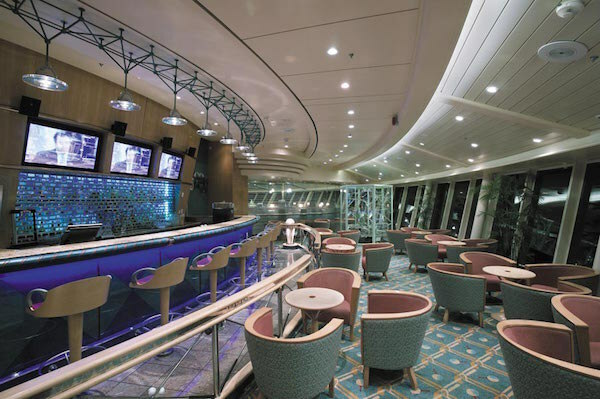 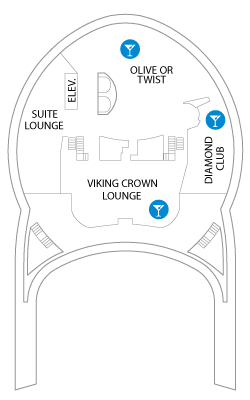 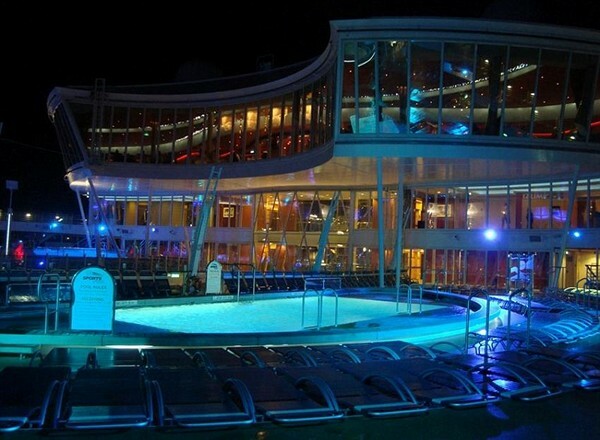 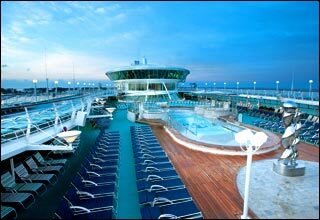 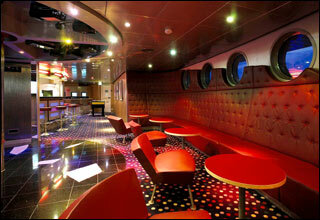 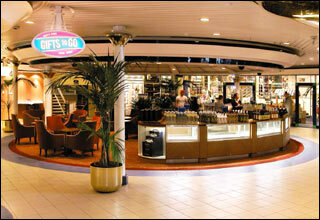 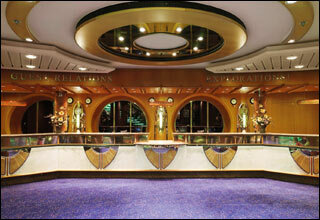 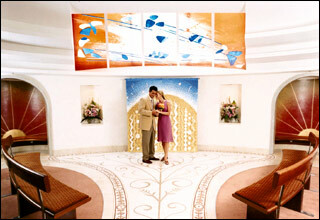 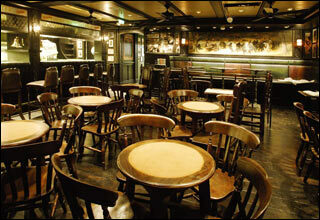 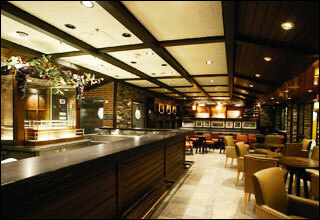 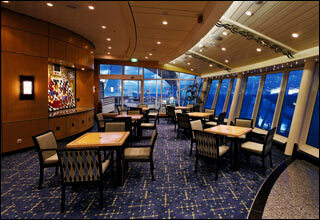 Deck 14 features the Viking Crown Lounge, Cloud Nine, Seven Hearts and the Diamond Club. 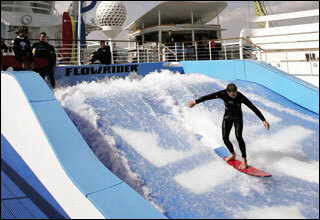 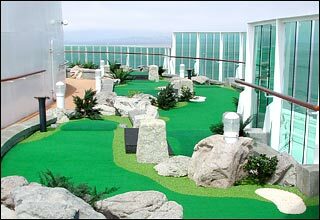 Deck 13 features the Flowrider, Rock-Climbing Wall, Sports Court and Independence Fairways. 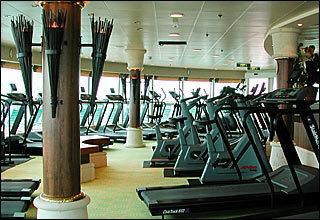 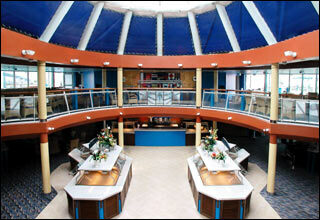 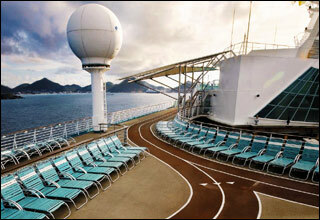 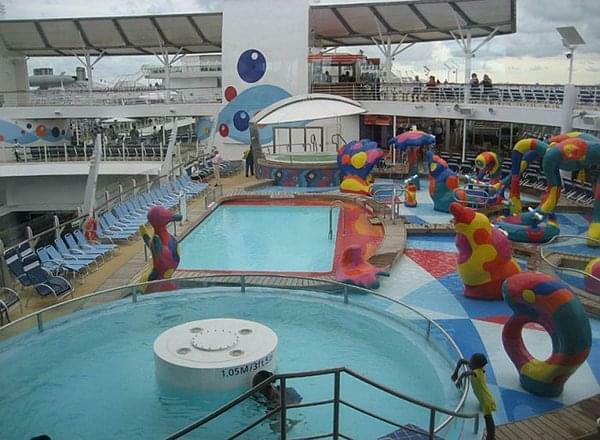 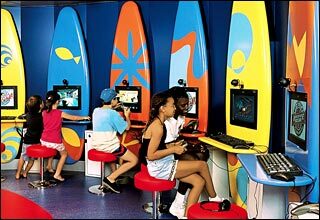 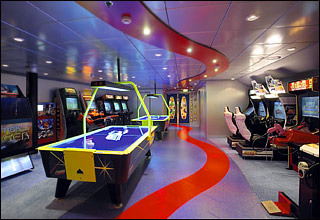 Deck 12 features the Adventure Ocean, The Living Room, Fuel Teen Club, Challenger's Arcade, Day Spa and jogging track. 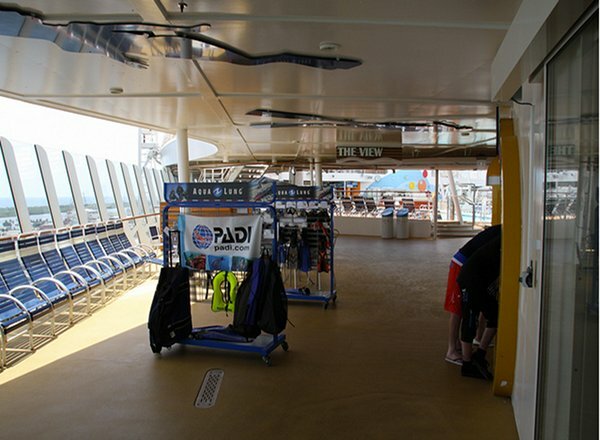 Deck 11 features the Windjammer Cafe, Jade Restaurant, Chops Grille, Portofino, Squeeze, H2O Zone, Solarium, Pools, Whirlpools and Fitness Center. 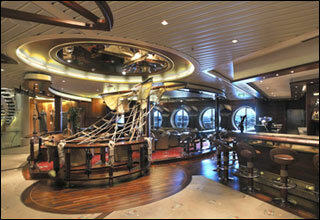 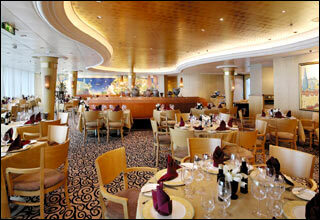 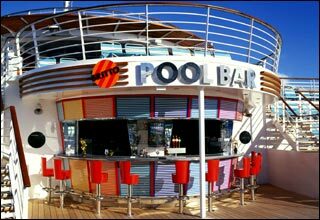 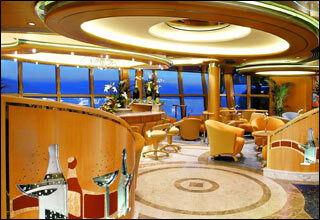 Deck 10 features staterooms in categories RS, OS, GS, JS, AW, D1, E1, F, K, L and AZ as well as the Concierge Club. 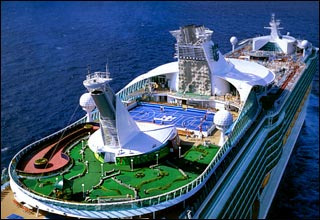 Deck 8 features staterooms in categories FS, D1, D2, E1, E2, FO, F, FP, PR, K, L, M, N, Q and AZ as well as the Royal Caribbean Online. 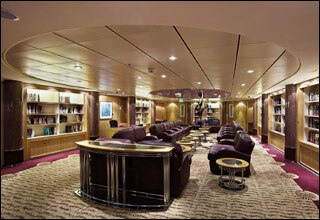 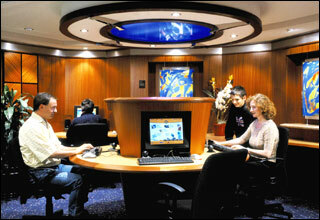 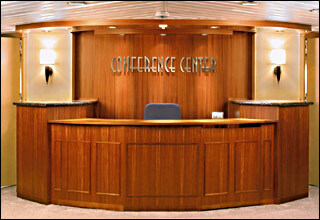 Deck 7 features staterooms in categories JS, D1, D2, E1, E2, AX, FO, F, G, FP, PR, K, L, N, and Q as well as the Library. 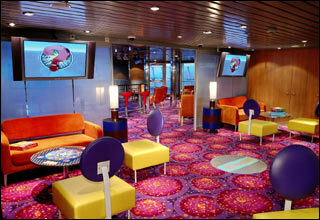 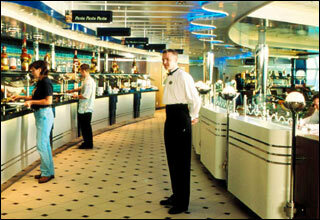 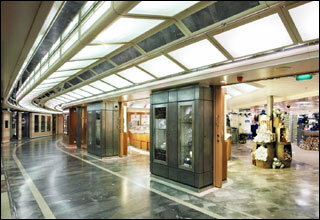 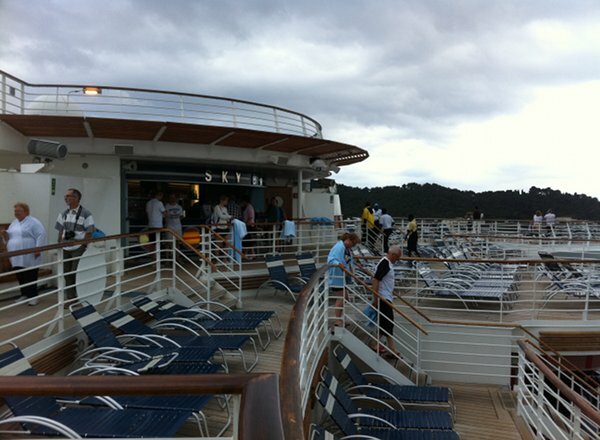 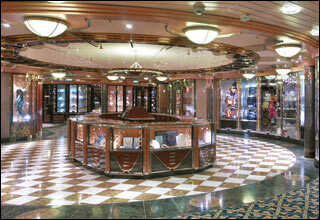 Deck 6 features staterooms in categories PS, D1, D2, D3, E1, E2, AX, FO, F, G, PR, K, L, N, Q and AZ. 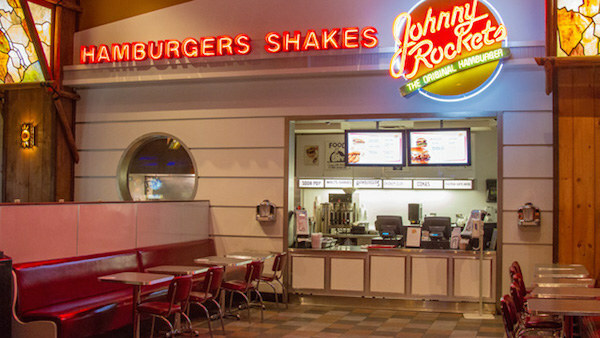 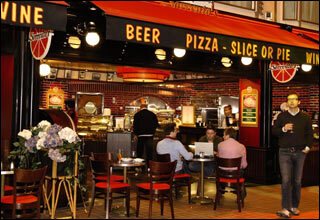 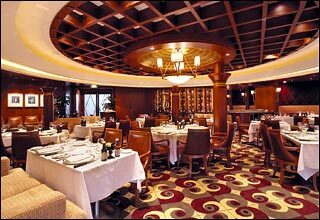 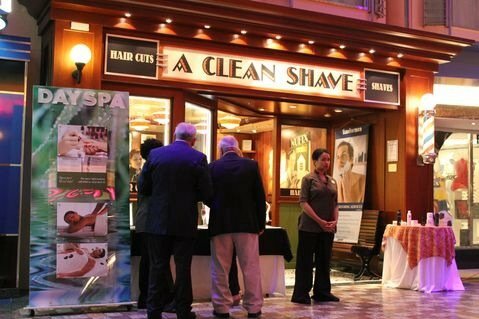 Deck 5 features the King Lear Dining Room, Sorrento's, Royal Promenade, the Dog & Badger Pub, Pyramid Lounge, Ben & Jerry's, A Clean Shave, Champagne Bar, Adventures, general store, shops and the Centrum. 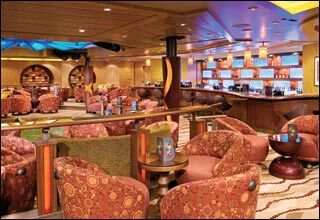 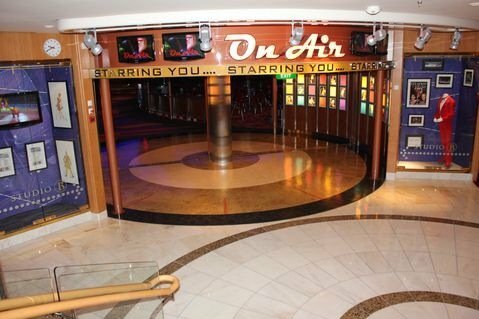 Deck 4 features the Alhambra Theatre, the Macbeth Dining room, Casino Royale, Schooner Bar, the Raven Nightclub, Photo Gallery, Boleros Lounge and the Centrum. 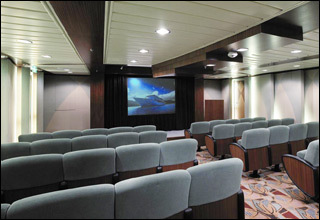 Deck 3 features staterooms G, K, and N categories as well as the Alhambra Theatre, Studio B, the Raven Nightclub, the Romeo & Juliet Dining Room, Art Gallery and the Centrum. 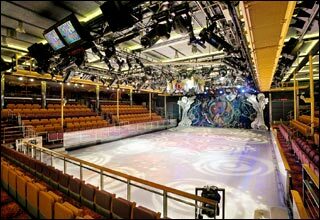 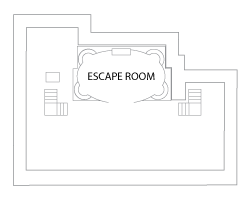 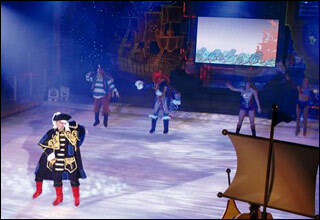 Deck 2 features staterooms in categories FO, H, I, AY, FI, K, L, N, Q and AZ as well as the Alhambra Theatre, Studio B ice-skating rink.